Click HERE or the image above to go to the LD site, add both the Serendipity Butterfly Cut It and Graphic sets to your cart and check out! You pay $0! I must confess that I was pretty excited to see the new LD Donut Gift Card Holder. I live a few miles down the road from our favorite doughnut shop and for which I frequently buy gift cards. I downloaded the Cut It file as soon as I saw it on the LD site. I considered doing a print-and-cut but I really wanted the gift card holder to have some extra dimension. 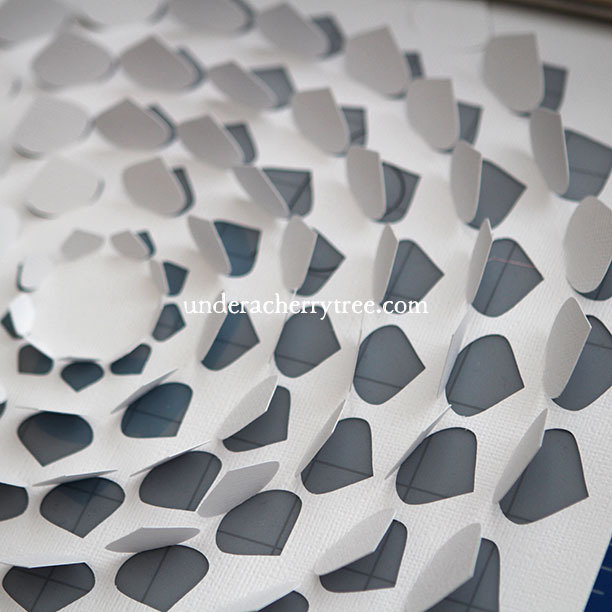 I decided to cut out the layers and assemble them the usual way (i.e. 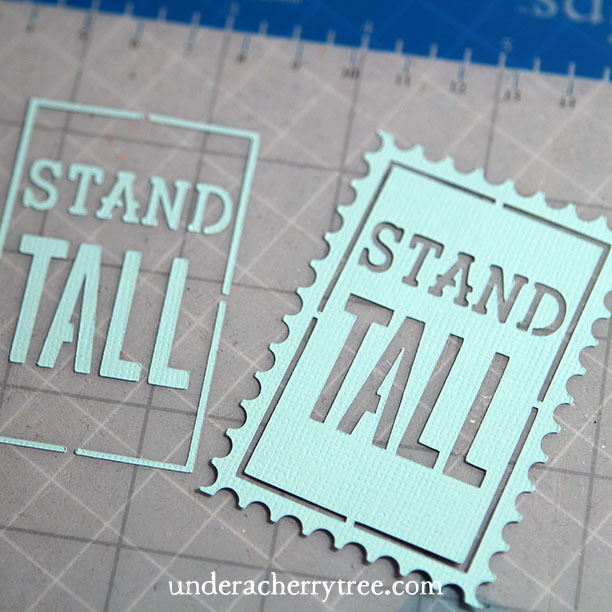 with glue and foam tape), and use print-and-cut only on the tag. The project was super straightforward and I was pleased that the Frost gift card fits perfectly! By the way, here's a heads up for local peeps- get your Frost gift cards from the Costco at Silver Lake. You pay only $40 for two $25 gift cards. That's a savings of 10 bucks! Yay! 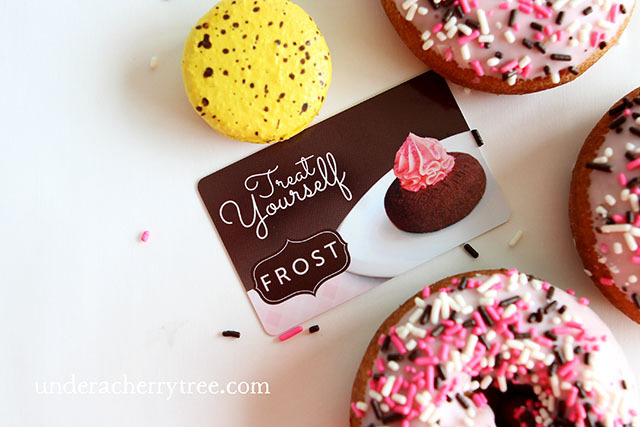 The Donut Gift Card Holder is available for free until Sunday night (at midnight MST). If you are reading post after May 31, 2015 and have missed the freebie, you may like to know that the regular price of the file is only $1. I think it's well-worth the price. WOOT! LD's Jolly Good Neighbor Collection is on sale for 75% off! The usual price of the collection is $16 but for a limited time, you can get the bundle for only $4! You can even use a coupon to sweeten the deal. Use the code LiftOff to take an additional 50% off, minimum $10 cart total. Click HERE to get your Jolly Good Neighbor Collection. 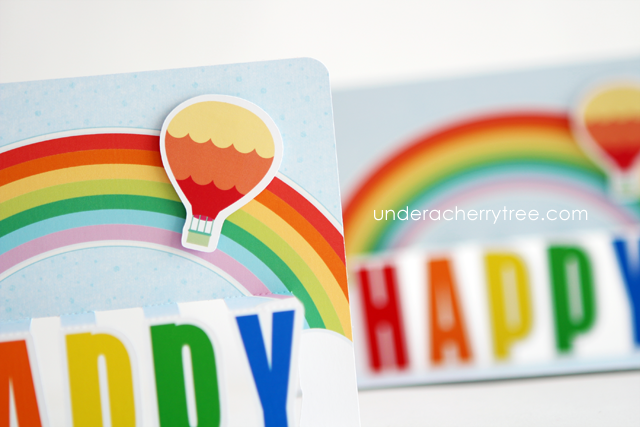 I used the Jolly Good Time graphic set to make the HAPPY card. I also just noticed that LD has released a couple of new sets today. The Pretty Posies collection includes 9 sets and I think that the whole line is so lovely! Click HERE to take a closer look. 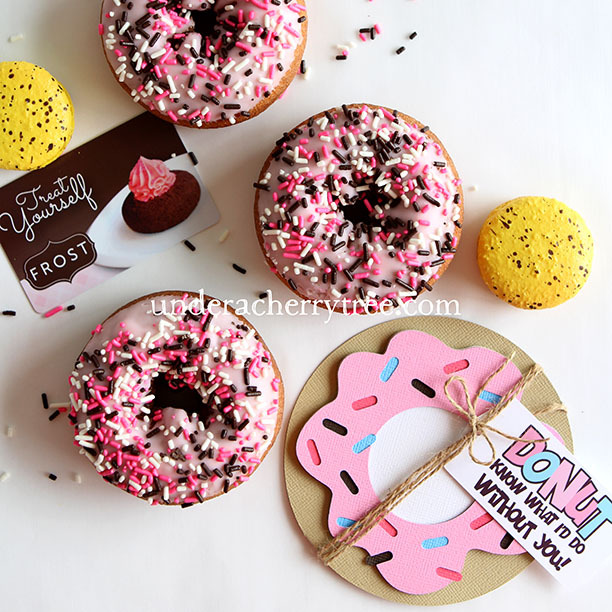 If you have not grabbed yesterday's Friday Freebie, click HERE to get the free Donut Gift Card Holder before it goes back to full price on Sunday night. TGIF! There are just a few more weeks of school left before Summer break. The latest LD release will be great for presenting the gift cards for the teachers. 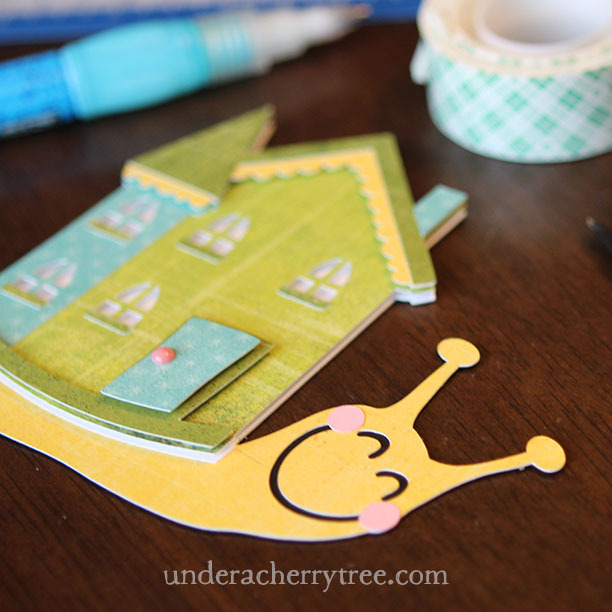 Click HERE to get the Gift Card Holders Cut It Project (SVG included). Don't forget to use the coupon LiftOff to take an additional 50% off (with minimum $10 purchase). Click HERE or the image above to go to the LD site. 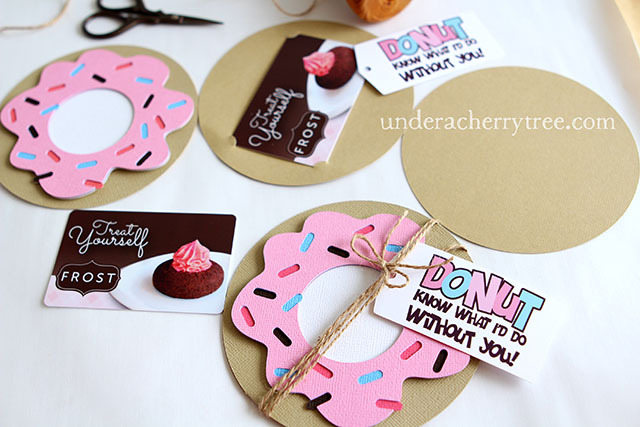 Add the Donut Gift Card Holder Cut It (SVG) to your cart and checkout. You pay $0.00! The link to the download will show up after the "transaction" is completed. 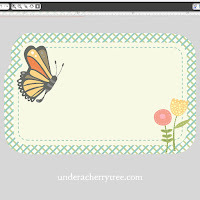 Silhouette Studio users, click HERE to grab your weekly freebie from the Silhouette Design Store. Click HERE or the image above to go to the LD site. Add the Peepsicles Ice Cream Wraps (printables) to your cart and checkout. You pay $0.00! The link to the download will show up after the "transaction" is completed. 90% off Hog Wild Collection! LD didn't managed to get their new site up tonight but they are offering an insane deal- how about 90% off their Hog Wild Collection? The bundle is usually priced at $10 but from now until Sunday, we can get it for only a buck! Click HERE to get your Hog Wild Collection and if you are shopping the site for something else, don't forget that their LiftOff code still works. If you have at least $10 in your cart, the coupon will take an additional 50% off! LD's new site is still not up yet and that means we get another freebie today! Click HERE or the image above to go to the LD site. Add the Z Best Day Alphabet (graphics) to your cart and checkout. You pay $0.00! The link to the download will show up after the "transaction" is completed. Click HERE or the image above to go to the LD site. Add the Rockets Home of the Brave and the Rockets Pinwheel printables to your cart and checkout. You pay $0.00! The links to the downloads will show up after the "transaction" is completed. While you're at the LD site, don't forget to shop their Memorial Day Sale. All Memorial Day products are 50% off and you can even use the coupon LiftOff to take an additional 50% off with a minimum $10 cart. FLASH SALE! 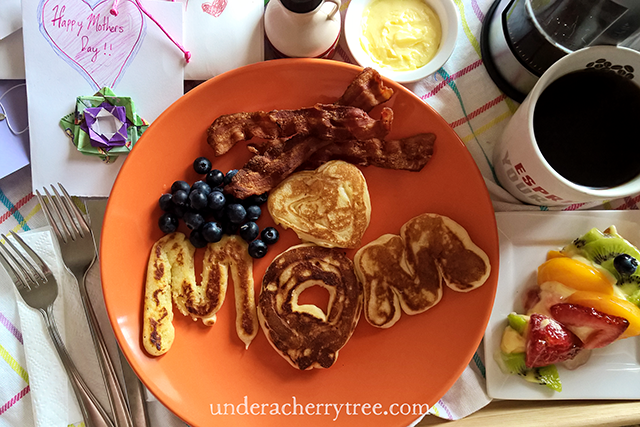 50% off LD Memorial Day designs PLUS additional 50% off coupon! LD has marked down all their Memorial Day product by 50%! What's even better is that you can stack their coupon on top of that. Use the code LiftOff to take an additional 50% off their sale prices! Please note that you need a minimum of $10 in your cart for the code to work. Here are some of the designs that are on sale, there are plenty more on the LD site. CLICK HERE to see all of them. Surprise freebie! Plus an update..
LD is adding an extra two weeks to the subscriptions. In other words, instead of 6 months, you will get 6 months and 2 weeks of downloads starting from the launch date of the new site. In addition, every day until that launch, LD will be giving away a freebie or offering a "killer deal" ( <-- their words) on their site. I'm a little disappointed that it has taken so long for the new site to happen but I appreciate that they recognize that many of us are bummed. I have to admit that I do love their freebies, so I suppose the daily freebies/deals make the waiting a little bit more bearable. Use the code LiftOff to save an extra 50%. Minimum $10 purchase. Click HERE or the image above to go to the LD site. Add the Confetti- Blast Off graphic and Cut It to your cart and checkout. You pay $0.00! The links to the downloads will show up after the "transaction" is completed. Thanks, LD! I can't wait to see your new site! LD's new site is still not ready but they are giving away a bunch of fonts today. Click HERE or the image above to go to the LD site. Add the Fontastical bundle to your cart and checkout. You pay $0.00! The link to the downloads will show up after the "transaction" is completed. We are approaching the end of the school year and I have been so busy with the kids' and my projects around our home that I have not been able to sit down long enough to write a proper tutorial. 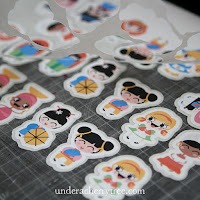 If you follow me on Facebook or Instagram, you'd probably notice that I have been cutting up tons of paper. I will post those projects here (with more details) later or when I get a chance. Many of you have asked about LD's new site. I emailed them last weekend about it and they are still testing the site. Someone asked them for an update and this is what they posted on their Facebook page yesterday. Woohoo...It's Friday! I've been obsessively refreshing the LD page the past two days and no, it is still not up yet (Boo...). Oh well, at least we are still getting a freebie today. The new sets are so cute! Click HERE to go to the LD site and see the complete collection. Click HERE or the image above to go to the LD site. Add both the Confetti- Conga Line Cut It and Graphic sets to your cart and checkout. You pay $0.00! The links to the downloads will show up after the "transaction" is completed. This post was edited on May 16 to include 3 new LD Confetti sets that were released on Friday evening. I was initially super excited about that Silhouette Curio. 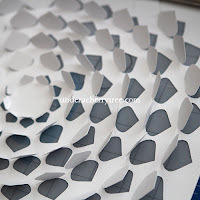 A machine that can cut, emboss, score, sketch, stipple, etch, and DEEP CUT?! Oh yeah, Baby! GIMME NOW! Then I stopped to look closer and realize that the Curio cannot cut 12" x 12". Say what?! Seriously, what were they thinking?! Once I got myself the Cameo, I cannot go back to a smaller cutting area! The fact that the Curio only has a 8.5" x 6" cutting mat is a huge bummer and because of that, I'm not so sure if I should get the Curio after all. Please, Silhouette America, come out with a Curio that can cut 12" x 12" and I'll be all over it! 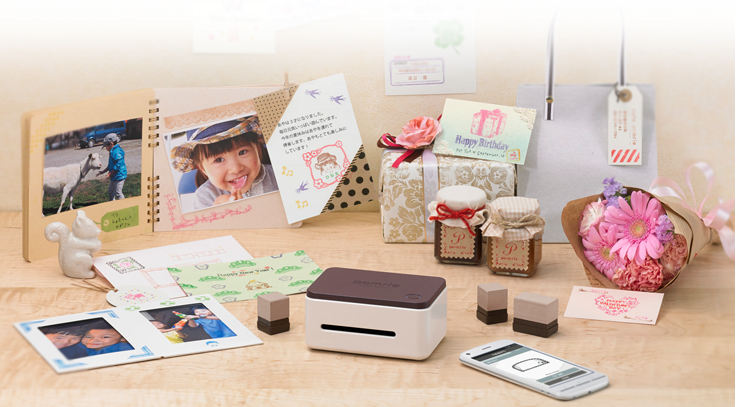 That brings me to the new Silhouette Mint Stamp Maker that I am actually a lot more excited about. You may recall that last year I posted about the Casio Pomrie. You can find the article HERE. Both the Casio Pomrie and the Silhouette Mint are mini thermal printers. 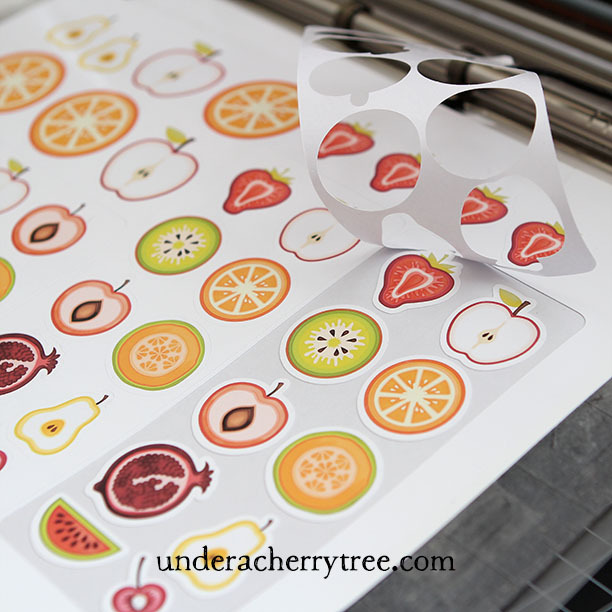 The stamp impressions are made when special paper inserts react to the heat. The Casio Pomrie comes with its own software and the Silhouette Mint works with its own Mint Studio program. While the Mint includes 50 designs, the Casio Pomrie comes with over 650 graphics! Having said that, I love that Silhouette is coming out with the Mint because I had a hard time finding a U.S. retailer for the Casio Pomrie. Until recently, it was not even available on Amazon. Now, you can find the Pomrie being sold HERE. Oh, be still my heart! 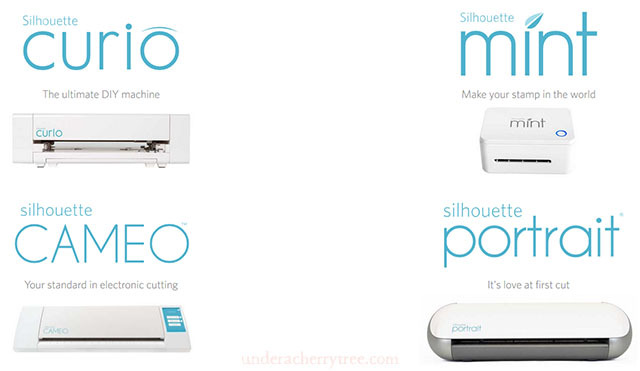 Silhouette America has announced two brand new machines to their line of products! 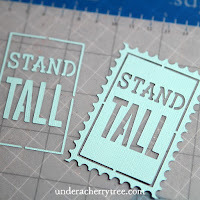 The Silhouette Curio can cut, emboss, sketch, stipple, and etch while the Silhouette Mint is a stamp maker. Along with the Curio, and the Mint, Silhouette America has also announced their new Silhouette Cloud that will sync your Silhouette Design Store Library so that it is accessible on other devices, and the Silhouette Studio Mobile app for both iOS and Android. In addition, they are introducing the new Silhouette Studio Designer Edition Plus- an upgrade in the Silhouette Studio® suite, and designed with new features specifically for sewing and fabric users. 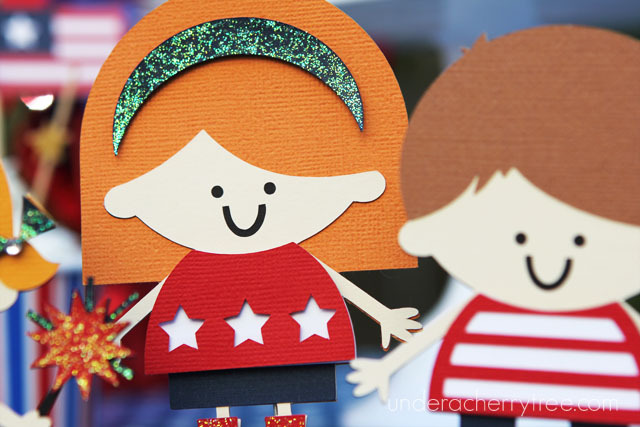 There are a lot of other new products announced today including a Deep-Cut blade (yippee! 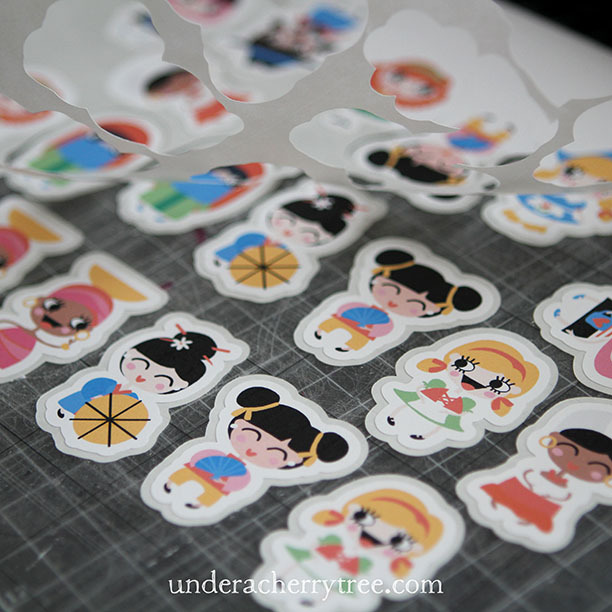 ), Printable Glow in the Dark Sticker Paper, Glow in the Dark vinyl, Scratch-off Sticker Sheets, Faux Leather Paper, and more! 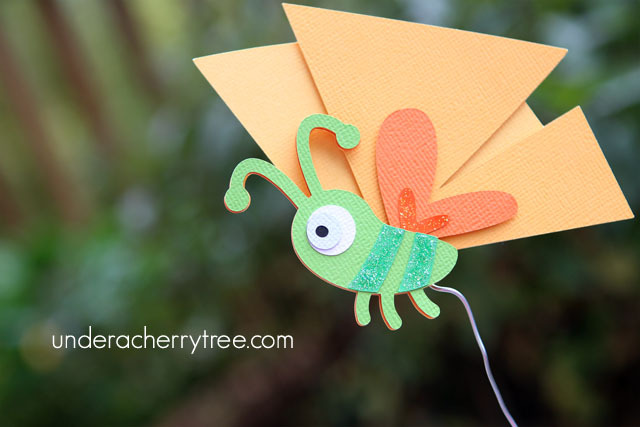 Click HERE to see all about their new products. Today is the last day to get the LD Subscription but it seems like many folks still have questions about the promotion. I have been emailing back and forth with LD and trying to get some of the confusion cleared up. In order to help you make a more informed purchase decision, I am posting here some further info regarding the offer. 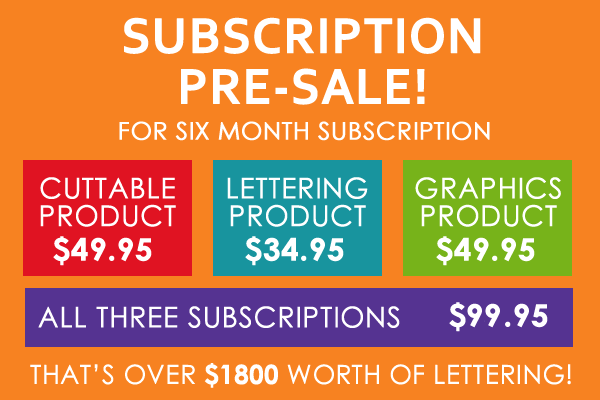 Downloads for the Graphics, Cut Its, or the Lettering Product subscription are limited to $10/product/day. Downloads for the Combo sub is limited to $15/day. (i.e. 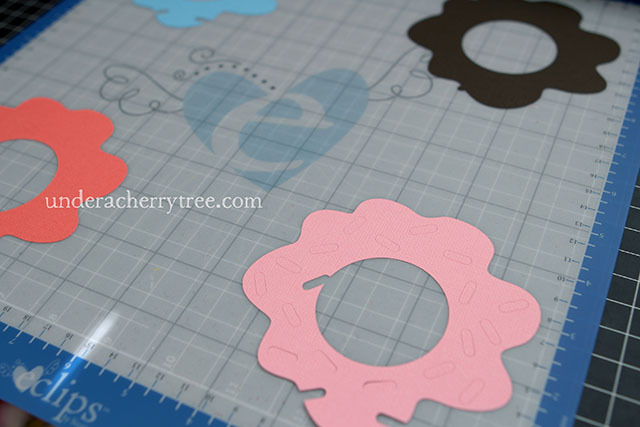 You can use get $15 worth of cut sets, or $15 on lettering, or $15 on printables or divide the $15 up. ). The new LD site will only allow for 1 subscription. If you want to buy 2, you must have 2 LD accounts. You must claim your $10 (or $15 for the Combo sub) download limit everyday because the credits do not rollover. The subscription does not include third party artist licensed content. For example, files designed by Sheri McCulley, Nancy Kubo, Patricia Zapata are excluded from the subscription. The Subscriptions will only work on the new site but it will give you access to the LD products that are sold before the new site is launched, as well as any new products as they are released. All subscriptions will start when the new site is launched and will expire 6 months after. If you use the MayFlowers coupon, you will get an additional 10% off the price of the subscriptions! The Combo subscription costs only $89.96 with the discount! Here is some further information about the new LD site. The new "My Library" will be called "My Downloads". All the files that you currently have in your library now will be transferred to the new site. The new site will have the same designs that are available on the current site, and LD will continue to add the same amount of new content to it as they usually do. On the new site, you can continue to purchase the sets individually or you can access the files via the subscription. The new site will also utilize a point system to reflect the price of the product. For example, a $5 Cut It set will cost 5 points, regardless of whether it is on sale or not. I updated the screenshot of the new LD site to highlight the new point system that LD will be introducing. - The download window is 24 hours. Once you have selected a file to use your points on, the clock starts ticking! The set that you picked will show up in your library for 24 hours and once that passes, you will not be able to see it there anymore. - Each subscriber is given 10 points/day which is the equivalent of $10, i.e. basically a $1 - 1 point conversion. - Points are consistent and independent of sale prices. - The checkout process is independent of the point system and subscription system. If there is a great bundle on sale that you want, it will make sense to buy it rather then to use your subscription points. "If something was on sale for $1.50 and is actually worth $6, they might choose to not use download credits on it. Freebies will have a point system attached to them by default too because they do not stay free. It would be silly for someone to use their points to get a freebie. Instead they need to go through the checkout system like we currently do." - Coupons can't apply to points. Beep beep! It's the Taco Truck!